Probably writing this recipe takes more time than preparing it. 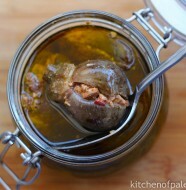 It is super easy to make (for a main dish) and it tastes fancy and delicious. There are many versions of Okra Stew recipes but the one I’m posting today is the easiest out there. It is all about combining different ingredients together and baking them in the oven. Every single ingredient has its distinctive taste and its own place in the recipe. Tomato, garlic, coriander, pomegranate molasses, cumin and other spices, all cooked together to bring out the best of okra flavor. 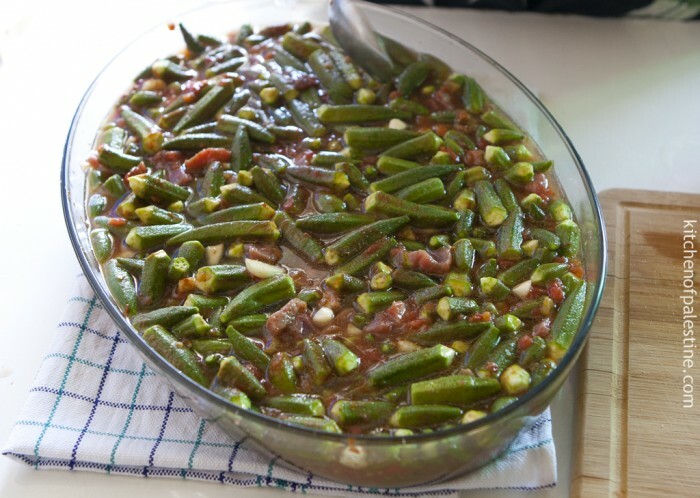 Okra stewed in tomato sauce is widely known in many Eastern cuisines; including Egyptian, Greek, Iranian, Indian, in addition to the Levantine. 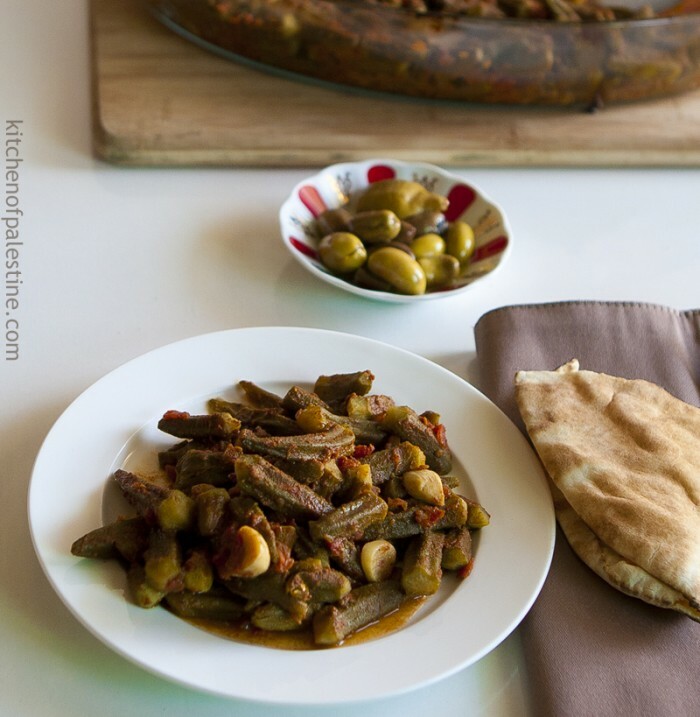 The secret of making good okra stew is by picking the tender and small okra pods which can be found, fresh or frozen, in different middle-eastern shops. Wash okra pods thoroughly and drain them of water. 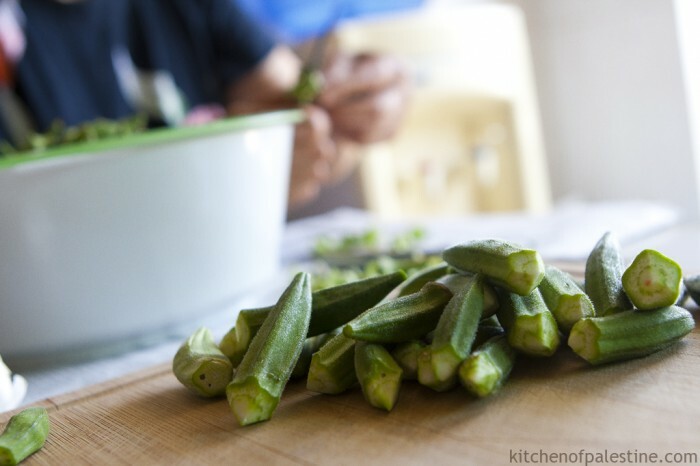 Cut off okra stems in conical way using a sharp knife as in the pictures. 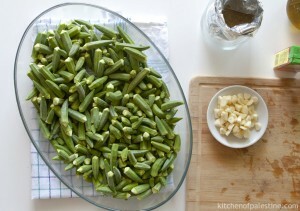 (This cutting style is preferable but not necessary; it will keep and maintain the shape of okra pods after cooking). In an ovenproof big pan, add all ingredients. Combine them very well using your hands or a spoon. Add 3 cups of water and stir to let tomato paste and spices dissolve in water. And then cover the pan with foil. 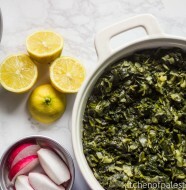 Place the pan in 180 c preheated oven for about an hour or until water is mostly absorbed. 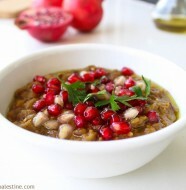 Serve hot with your choice of pita bread or white rice on the side. (In case of having rice, it’s better to leave the okra with more stew). 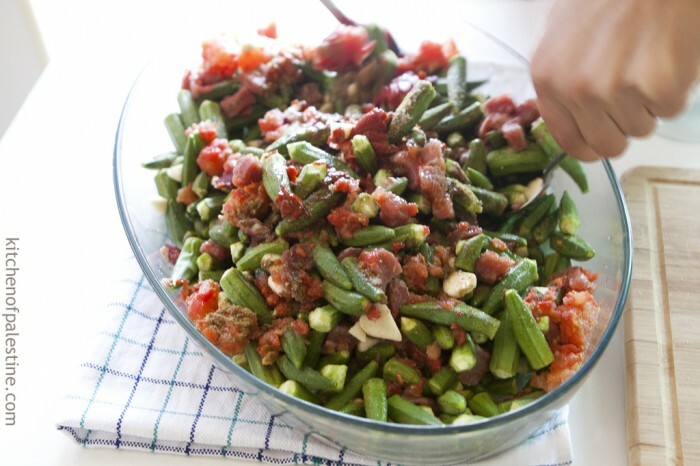 7 Comments on "Okra Stew (Bamieh)"
Do you have a list of dishes you want to prepare for this blog or do you decide spontaneously? True! some recipes vary from coastal to interiors and from cities to villages. 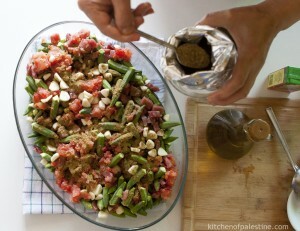 Pomegranate molasses is an interesting addition, I didn’t know it can be used with okra. The flavor boost must be great. Ya! It makes all the difference..
It’s ridiculously easy! But don’t forget to add pomegranate molasses.